The following website material is neither an offer to sell nor a solicitation of an offer to buy shares of MacKenzie Realty Capital, Inc. Offering is only made by prospectus, a copy of which can be accessed here. This material must be read in conjunction with the prospectus in order to fully understand the risks associated with this investment. For more information, contact MacKenzie Capital Management: 800-854-8357. By continuing on the site, you acknowledge that you have received a copy of the prospectus. The Fund should be considered speculative and involves a high degree of risk including the potential loss of investment. The Fund’s illiquid nature will prevent investors from having access to their money for an indefinite period of time. Investors are subject to stockholders transaction expenses of 10% in addition to annual management fees. 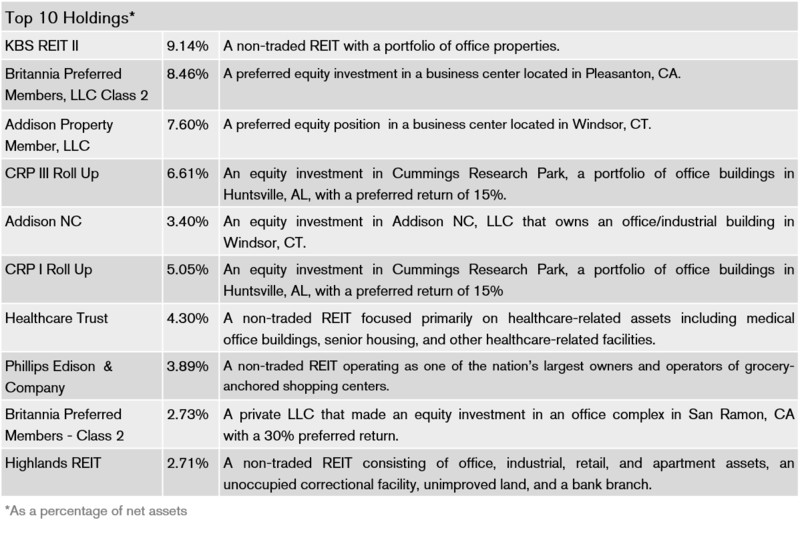 The Fund has elected to be taxed as a REIT, but if it fails to meet the requirements, there may be adverse tax consequences. An investor should not expect to be able to sell fund shares regardless of how the fund performs and if shares are sold, it is likely an investor will receive less than the purchase price and less than the current NAV. The fund has implemented a share repurchase program, but does not expect to repurchase more than 5.0% of the shares that were outstanding in the prior year on average. In addition, any such repurchases will be at a 10.0% discount to the most recent offering price for 2 years following the close of the Offering, rising thereafter. Dividends are not guaranteed, and the fund is permitted to return a limited amount of capital, or borrow, to fund dividends. An investment in the fund’s shares is not suitable if an investor will need access to the money invested. Because an investor will be unable to sell shares of the fund, it will not be possible to reduce exposure on any market downturn unless and until the fund is listed. An investor will pay a sales load of up to 10% and offering expenses of up to 1.1% on the amount it invests. If an investor pays the maximum aggregate of 11.1% for sales load and offering expenses, the investment must experience a total return of 12.5% in order to recover these expenses. The fund’s core strategy is to purchase illiquid securities at significant discounts to estimated net asset value. With them, we seek to build diversified portfolios of income-producing and growth-oriented REITs and limited partnerships. Our clients invest at prices we estimate to be significantly below current market value of the underlying asset. MacKenzie Realty Capital is managed by MacKenzie Capital Management (“MacKenzie”) and its investment advisory affiliate, MCM Advisers, LP (“MCMA”), who have specialized in the area of discounted real estate securities for more than a quarter of a century. Our team of real estate and securities analysts has extensive hands-on acquisition experience and deep insight into the real estate market. We also have a proprietary database of real estate securities collected over 27 years of continued analysis, which allows us to quickly recognize, and potentially capitalize on, windows of opportunity. The Company’s regular and special dividends are funded entirely from operations, and do not represent a return of capital, borrowing, fee waivers, or any other sources. The foregoing information contains, or may be deemed to contain, “forward-looking statements” within the meaning of Section 27A of the Securities Act of 1933. These forward-looking statements include all statements regarding the current intent, belief or expectations regarding matters covered and all statements which are not statements of historical fact. By their nature, forward-looking statements involve risks and uncertainties because they relate to events and depend on circumstances that may or may not occur in the future. 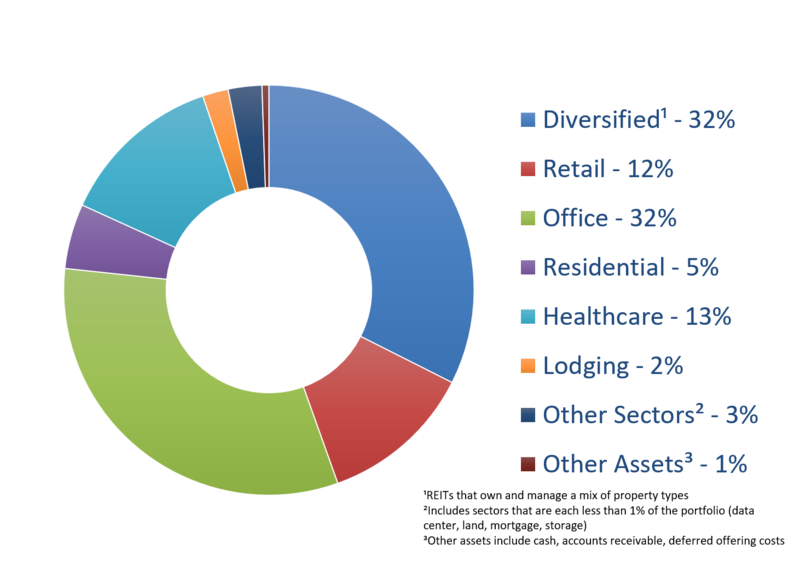 The future results of MacKenzie Realty Capital, Inc. (the “Fund”) may vary from the results expressed in, or implied by, forward-looking statements, possibly to a material degree. Since these factors can cause results, performance and achievements to differ materially from those discussed in this presentation, you are cautioned not to place undue reliance on the forward-looking statements. Past performance is not indicative of future results. The Fund will update these forward-looking statements to reflect any material changes occurring prior to the completion of the offering. For a discussion of some of the important factors that could cause results to differ from those expressed in, or implied by, the forward-looking statements contained herein, please refer to the Fund’s registration statement (SEC File No. 333-212804) and Annual Report on Form 10-K for the fiscal year ended June 30, 2018, in particular, the “Risk Factors” sections. The forward-looking statements in this document are excluded from the safe harbor protection of Section 27A of the Securities Act of 1933. Prospective investors in the Fund should carefully consider the Fund’s investment objectives, risks, charges and expenses, which are discussed in the Prospectus, before investing. The Prospectus, which contains this and other information about the Fund, is available and should be read carefully before investing. A copy of the Prospectus may be obtained from the Fund by calling 925-631-9100 or 800-854-8357, or by writing to the Fund at 89 Davis Road, Suite 100, Orinda CA 94563. Securities products and services are offered through Arete Wealth Management, LLC. Arete is a member of the Financial Industry Regulatory Authority and the Securities Investor Protection Corporation. Arete is not affiliated with the Fund, MacKenzie, or MCM-GP, Inc.